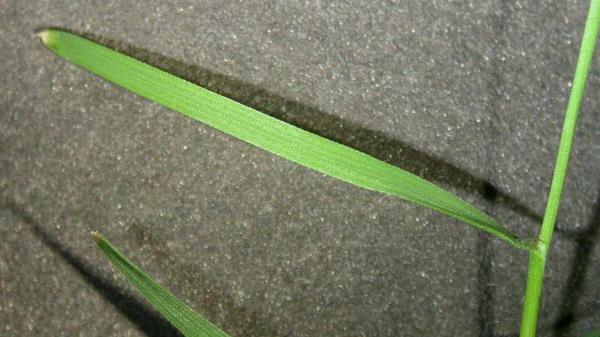 Creeping bentgrass is the most widely used cool-season grass on golf course putting greens. 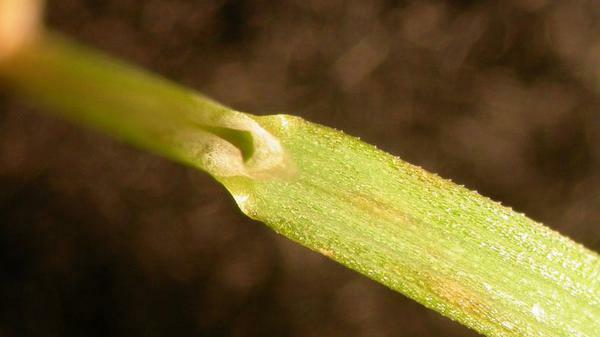 It is a fine-textured species that can tolerate close mowing heights and spreads by stolons. This allows it to recover from traffic and golf ball marks. However, it has very high maintenance requirements including fertilization, topdressing, mowing, and frequent fungicide applications, particularly during the summer months. Figure 1. Creeping bentgrass vernation. Figure 2. 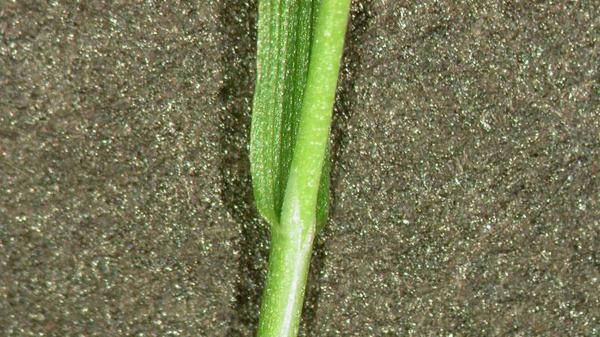 Creeping bentgrass ligule. Figure 3. 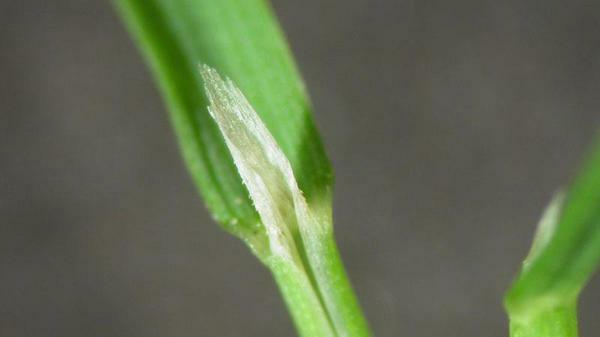 Creeping bentgrass ligule. Figure 4. 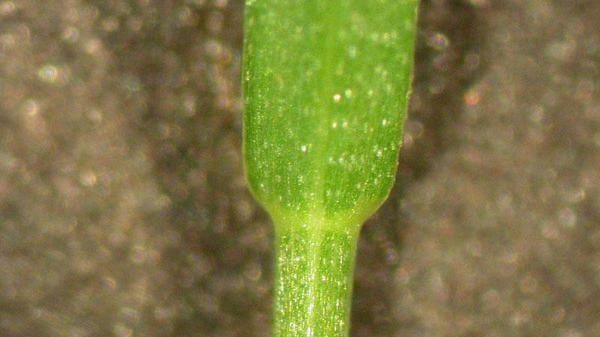 Creeping bentgrass leaf blade tip. Figure 5. 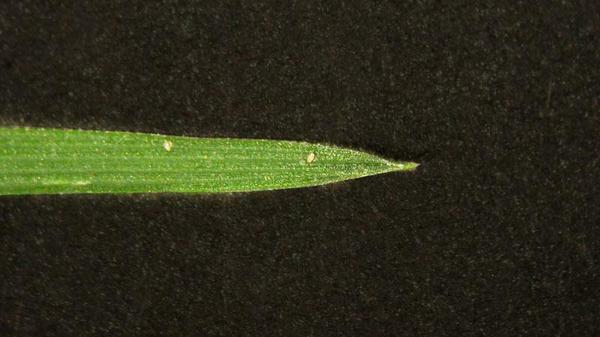 Creeping bentgrass leaf blade width. Figure 6. 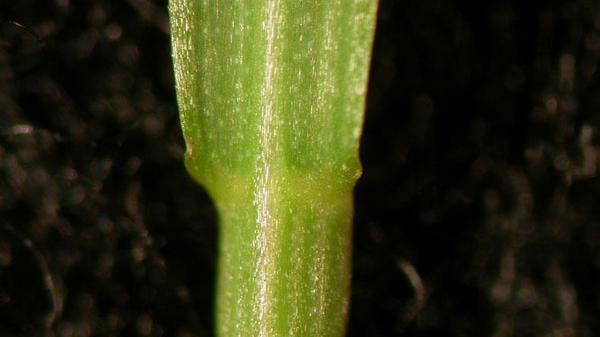 Creeping bentgrass collar. Figure 7. Creeping bentgrass collar. Figure 8. 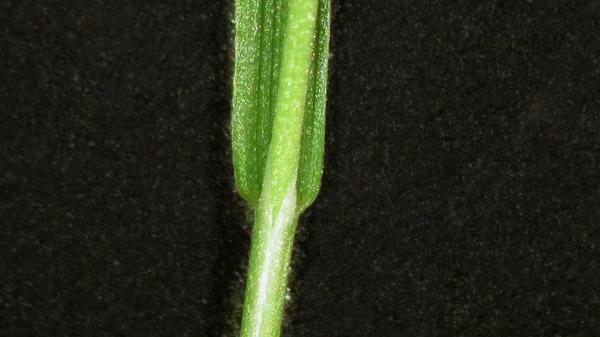 Creeping bentgrass sheath.